If your car requires Inspection-based servicing, in order to keep the car in good condition and the warranty in tact, you will need to ensure that the car receives both Inspection 1 and Inspection 2 at the correct intervals. 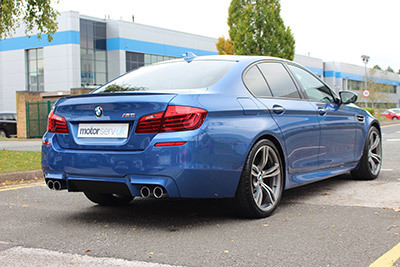 At our auto centre all of our technicians are expertly trained in German Vehicle maintenance, meaning your car will receive the highest quality of care with us. 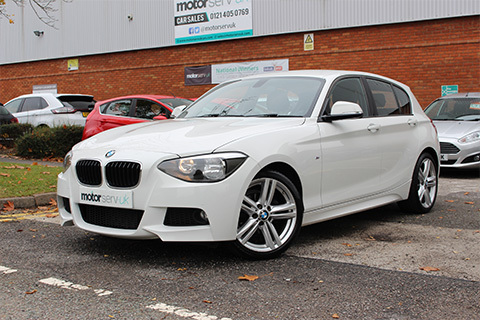 To make things even better, we offer this at a rate that is up to 40% cheaper than the main dealers. In between, at the annual or additional 10,000 mile mark, a smaller oil service should be carried out. Overall thickness of front and rear disc brake pads is checked using a special tool. Is replacement is necessary: surfaces are checked, brake pad contact points in callipers and brake shafts are cleaned. If replacement in rear is necessary: parking brake linings are checked. Wheel centering hubs on light alloy wheels are greased. 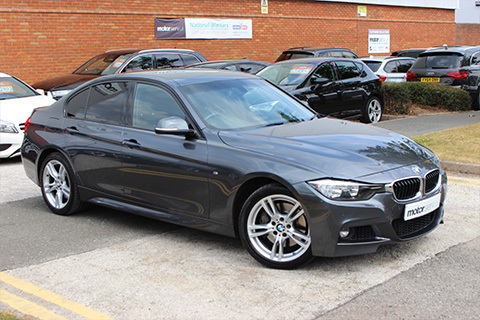 Your car is your pride and joy, and if it is a BMW rightly so! By responding promptly to your car's service requests you can keep it running as smoothly and efficiently as the day you first drove it. What gets done during a BMW service? Newer models indicate what servicing they require through a set of service lights. 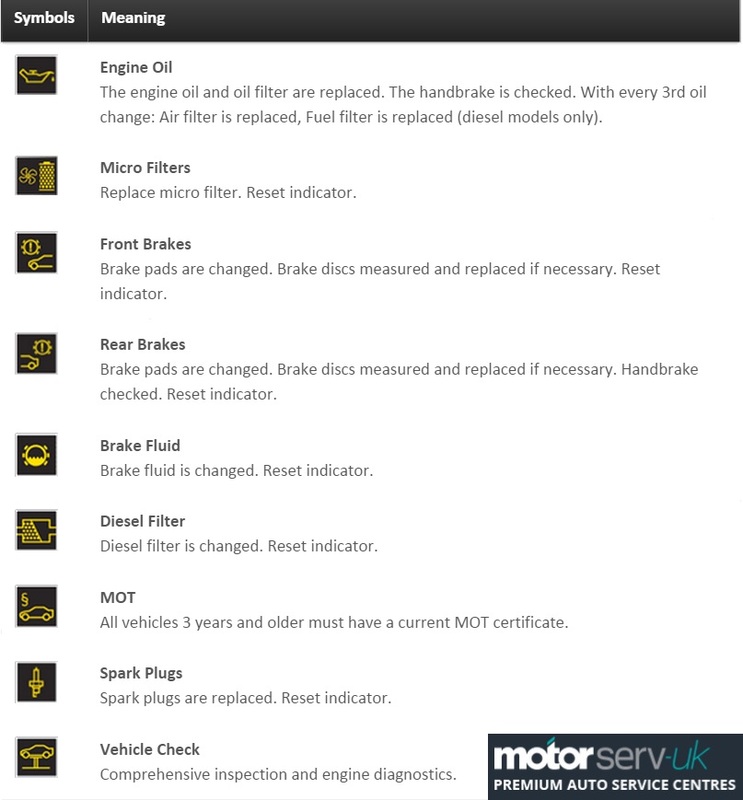 These cover everything from reminding you about the MOT to replacing spark plugs. This is known as Ã¢€Å“Condition Based ServicingÃ¢€ and could save you money compared to the inflexible annual service routine. Servicing your car should ensure that it runs trouble-free for a long, long time but unfortunately, that's not always the case. Our highly trained technicians, dealer certified to show that they understand your car inside and out, can carry out all maintenance and repair tasks from changing the oil to changing the oil seals. All our work is done to main dealer standards, but without the main dealer prices. We're also a member of BlackCircles so you can buy your tyres online and have them fitted by us. We'd like to think you need a reason to go elsewhere! We're local and we offer a collection and delivery service so you don't even need to visit us. If you'd rather drop your car off we can arrange a courtesy car or you can wait in our dedicated waiting area with free WiFi, hot drinks. 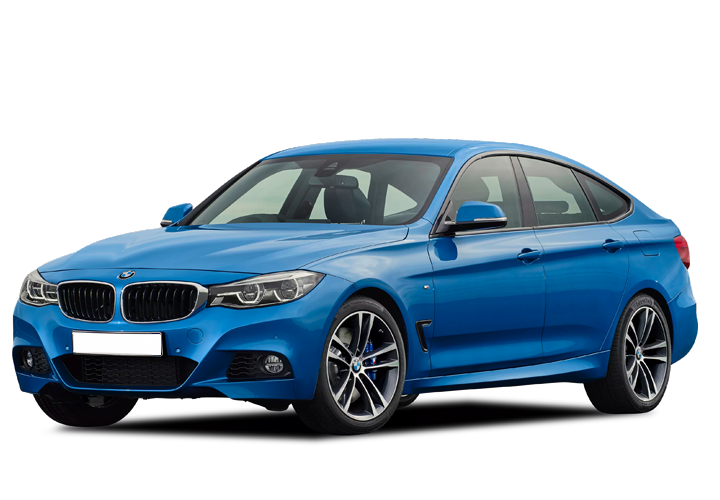 We aim to offer you the same high-quality service you expect and demand from a BMW dealership but without the BMW servicing prices. And because we have our own in-house MOT testers you won't need to go elsewhere - have your servicing and MOT completed at the same time saving you time and money. No longer do dealers have a stranglehold on the new car servicing market. Our technicians have undergone the same training and certification as their colleagues at the dealership and have access to the same spares, lubricants and other parts which means our service stamp is just as valid for maintaining your warranty as the dealers is. Of course, there comes a time in every car's life when the cost of manufacturers spares seems too high given the age of the vehicle. If you would prefer us to source third-party parts to keep costs down even more we are not only happy to do so but, like all our work, we'll guarantee them and the labour for two years! We are as passionate about keeping your car in good health as you are which is why we want servicing to be affordable, whatever car you drive. 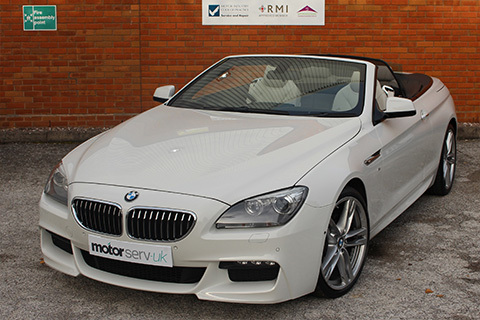 Why not call us today on 0121 581 0430 to find out how reasonably priced your next service or MOT will be?